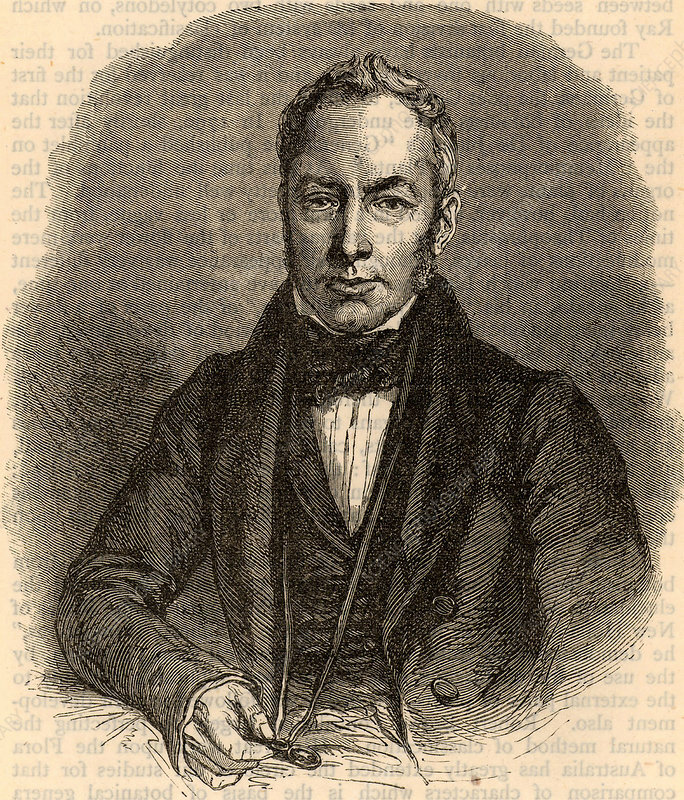 Robert Brown (1773-1858) Scottish botanist, born at Montrose, Scotland. Botanist on the Flinders expedition to Australia (1801-1805). Librarian to Sir Joseph Banks and on Banks's death he inherited his library and herbarium which was transferred to the British Museum where Brown became first Keeper of the Botany Department. Engraving c1880.